This collection brings together all the studio piano solos Waller recorded for Victor. It is an amazing corpus, and doubly interesting as Fats performs many of his numerous compositions. His most important solo recordings other than his Victor sides, are the movements of his London Suite, added here as a bonus on Disc 2. To round out this collection, we included all the piano solo tracks from an extended 1939 radio transcription session, on which he had previously recorded quintet, organ and vocal tracks. They present Fats Wallers only existing recorded renditions of the beautiful standard Poor Butterfly and Handys perennial Saint Louis Blues. The last track, taken from another 1939 transcription session, shows Fats improvising on a popular opera number. 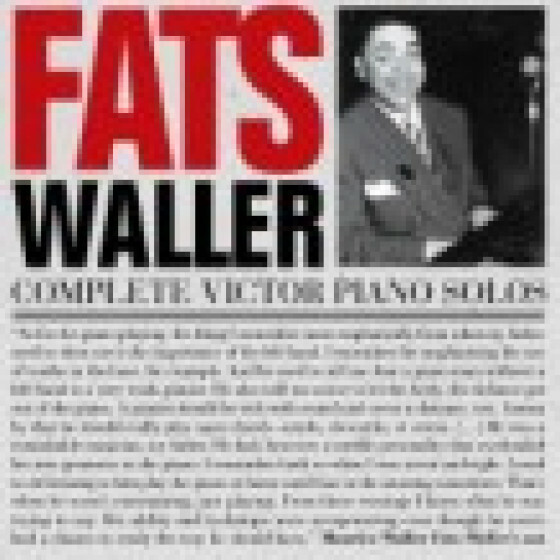 Fats Waller: piano solo on all tracks. Recorded in Camden (New Jersey), New York and London between 1927 and 1941.